This training is about you executing a handful of potent de-escalation tactics adapted from the martial art Aikido, a former FBI hostage negotiator, trial lawyers, law enforcement, and the greatest escalation agents in customer service. After this webinar, you’ll be confident in your ability to get any customer to back down and accept your word as final. Sit down with me on Friday, March 1, 2019, at 1:00 pm ET for a 45-minute discussion on how to de-escalate. No worries if you can’t make the date. We’ll send a recording of the training to all registrants on March 2nd. Use the recording to train new hires, as a refresher training, or to work with employees struggling later on with escalations. Employees learn how not to start the cycle of escalation by opting for an assertive, and not an aggressive response to demanding customers. At the end of this section, your employees will know the three things that must be explained to the customer to get the customer to accept their word as final, thus minimizing escalation. Your employees learn how to strategically use their voice and words to create calm, regain control, and persuade customers to let them help. Employees discover that psychologically, customers aren’t able to calm down until they feel heard and understood, and they learn four keys to communicating with empathy so they can defuse and move interactions to closure. 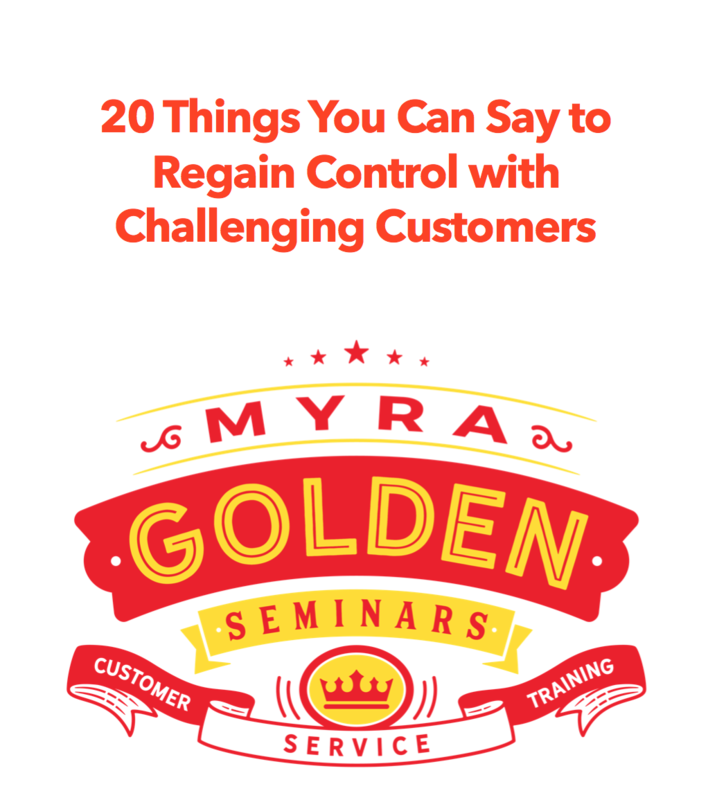 Your employees learn how to use acknowledgment to move customers from the emotional right-brain to the rational left-brain, and they explore seven de-escalation tactics that create calm and persuade customers to accept the employee’s word as final. Employees learn that verbal attacks only have power when they take the bait and react. The Aikido principle of “Force Never Meets Force” is introduced as a tactic for not allowing oneself to be provoked.